and retired baseball star, Alex Rodriguez, 43, are engaged after two years of dating. Alex made the huge step during the couple's romantic Bahamas getaway. The pair who celebrated their two-year anniversary on February 4, took to Instagram on Saturday night to share the good news to the World. 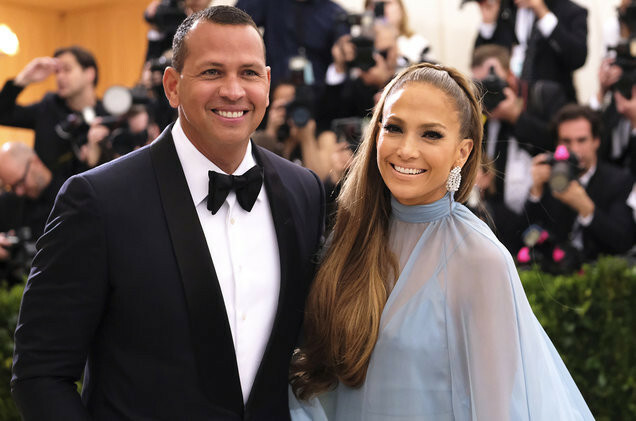 “She said yes,” Rodriguez said in a post showing JLo’s hand with the huge engagement ring. A-Rod's marriage to Jennifer would be his second, having been previously married to Cynthia Scurtis from 2002 to 2008. He shares two daughters Ella Alexander, 10, and Natasha Alexander, 14, with his ex-wife. Jennifer has 11-year-old twins Maximilian and Emme with her third husband Marc Anthony, who she was married to from 2004 to 2014. She was first married to Cuban waiter Ojani Noa from 1997 to 1998, and in 2001 tied the knot with her former backup dancer, Criss Judd.